1. The main provisions on homelessness are contained in Part VII of the Housing Act 1996. The Act includes, among other things, principal criteria for determining which duties a local authority will owe to a homeless applicant, and how a decision can be challenged. 2. 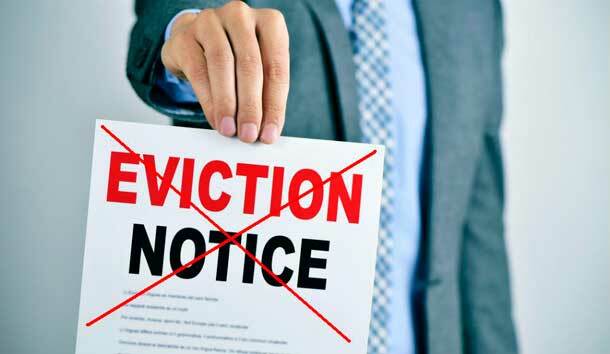 At present, under the specific guidelines set out in Part VII of the Housing Act 1996, many tenants who are served a Section 21 'notice' are being urged by their local council to remain; for if they leave, they are bizarrely classified as 'intentionally homeless'. 3. Therefore, they are unlikely to qualify for emergency rehousing, instead being placed on a waiting list .Although, tenants in this position will be granted ‘emergency accommodation’, this is often for prolonged periods, inappropriate and unsuitable in sustaining a normal life. 4. Being served ‘notice’ is not a deliberate act of homeless. A landlord could, for example, serve notice because he or she wants to retain their property, which is not the fault of a tenant. 5. The most frequently cited reason for loss of the last settled home is now the ending of an assured shorthold tenancy in the private rented sector. In the first quarter of 2018 this reason was behind 27% of all statutory homeless acceptances in England. 7. Authorities often told these households that an application for homelessness assistance under Part 7 of the Housing Act 1996 (as amended) would not be considered before a court order/bailiff’s warrant was issued. 8. The Homelessness Reduction Act 2017 came into force on 3 April 2018 (with limited exceptions). It has made changes to Part 7 of the 1996 Act. Its main effect is to place increased duties on authorities to assess an applicant's needs and to prevent and relieve homelessness. 9. However, authorities across the country continue to advise tenants to remain until bailiffs arrive, which one could assume is due to a shortage of appropriate housing. 10. Having written to my local MP (The Hon. Mark Prisk, MP) about this evident fault in the law, he referred me to the Secretary of State's Statutory Homelessness Code of Guidance for local authorities. 11. The MHCLG provides statutory guidance on how to interpret and apply the homelessness legislation and contains details of good practice that local authorities should adopt. Crucially, it is not legally binding and local authorities are only required to have regard to it. 2. Nowadays, if you donate more than £7,500 in one year, the political party has to publicly declare this. The records show that political donations have increased significantly since 2001. 1) Whilst there have been efforts made to reduce homelessness, there remains the existence of legislation (the Housing Act 1996) which actively increases homelessness! THREAD: The invocation of #Article50 was illegal- Brexit is BUILT ON SAND. Follow @A50Challenge and challenge the government's flagrant subversion of our constitutional arrangment. 1) Article 50 notification is predicated on a decision that has no basis in law. Despite what many people were led to believe, Parliament has never delegated the withdrawal decision to the people and has never made the withdrawal decision itself. 2) The Government maintains that the 2016 EU Referendum was a decision to leave the EU – a decision “by the people”.